⚓ T128226 Mora Commander's MFD Shows wrong weapon on bottom status display. Mora Commander's MFD Shows wrong weapon on bottom status display. 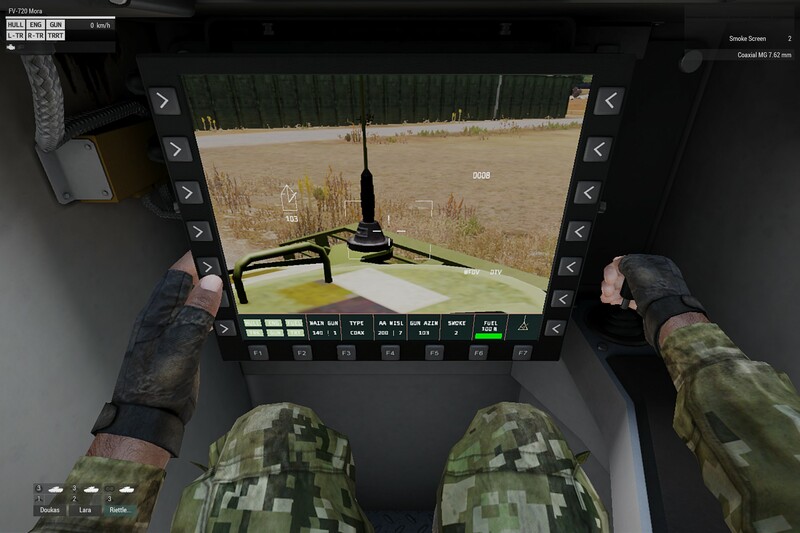 Currently, on the main branch, the MFD showing the commander's turret view in the Mora IFV incorrectly lists AA missiles instead of the coaxial mg.
On main branch, spawn a FV720 Mora in either the virtual garage or editor. The display will show the coax weapon status under the name "AA Misl" instead of the correct "COAX". Thank you for the report, we will have a looka t it.